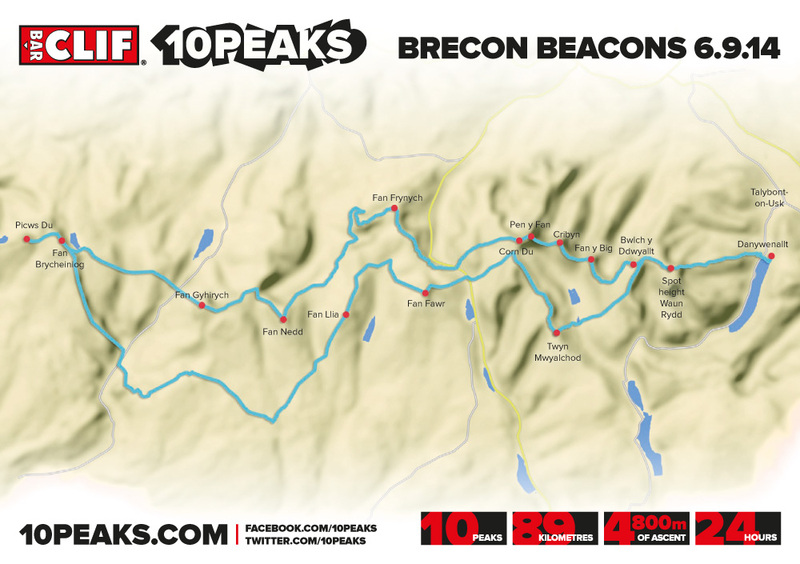 Conditions were once again near perfect for the second running of the Clif Bar 10 Peaks Brecon Beacons. 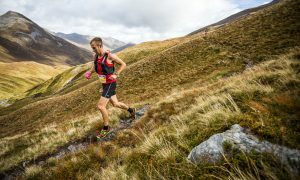 The event attracted a strong field with 10% overseas competitors as well as some of the best UK ultra runners. These two factors combined meant that we were in for some very fast times. Erik-Sebastian Krogvig, who finished second in the Lakes Long Course was confident of his abilities but not completely sure about route choice. 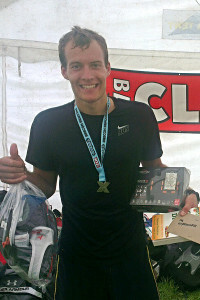 He started at record breaking pace leaving the rest of the field behind including last year’s Short Course winner, Andrew Ind who trailed in second. By CP2 Eric-Sebastian was 35 minutes ahead of the record pace of last year. However on route to CP3 he made a couple of navigational mistakes deliberately cutting off the corner to Coed-y-Garreg then missing the Breacons Way meant he approached CP3 from the south rather than the east. By this point Eric-Sebastian’s lead was cut to 17 minutes. 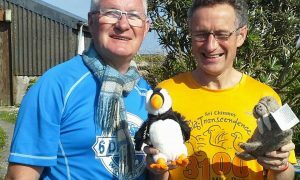 He had learnt from his mistake and didn’t stray too far from the suggested route on the inbound trip from Picws Du increasing his lead as he went. Soon after CP4 international athlete Teun Geurts-Schoenmakers joined forced with Andrew Ind who eventually finished joint second, 1 hour 46 minutes behind Erik-Sebastian who had pushed himself to a new record of 11:01:17 beating Mark Palmer’s impressive time from last year. He had eaten, showered and started his cycle home before anyone else arrived at the finish! In the woman’s race Michelle Bowen lead the field to the top of Carn Pica but was passed by Beth Pascall on route to CP1. By the time Beth reached Fan Brycheiniog she had extended her lead by over 16 minutes, Beth maintained her lead to finish in 13.12.21 knocking 30 minutes off last year’s record and finishing 4th overall. Meanwhile there was a battle on for second as Laureda Tirepied caught Michelle Bowen at CP5 and decided she was going to fight for second. Laureda opened up a 3:46 lead over Michelle by the top of Corn Du and over 16 minutes by Fan Y Big. Laureda went on to finish second in 14.21.27 with Michelle third in 14.35.19, with all three ladies finishing in the top 10 overall. The Short Course competitors started an hour after the Long at 6am with Alex van Tuyl the only person of the day to reach Carn Pica in under 48 minutes. 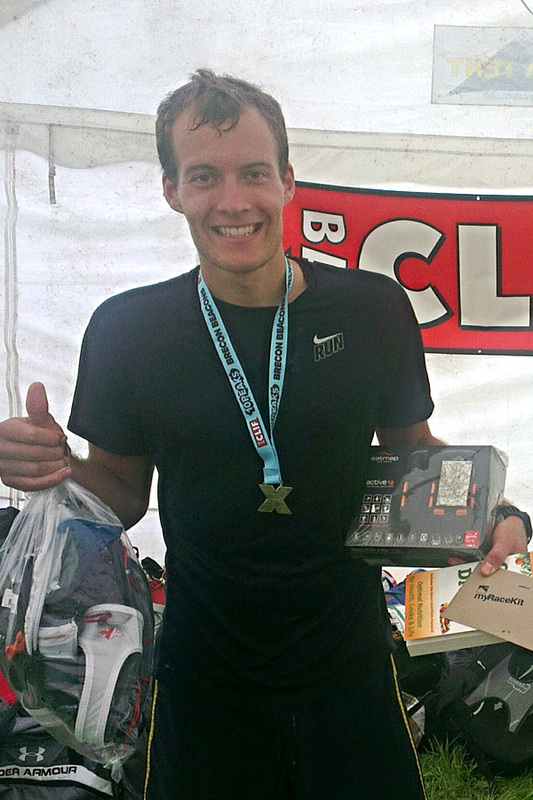 Alex didn’t slow there and by the time he reached CP2 his lead stood at 35 minutes ahead of Richard Gover. Alex’s descent from the final peak to the finish at the Danywenallt YHA took him only 36 minutes to finish in a time of 7.02.05 smashing Andrew Ind’s winning time by half an hour. Richard Gover came in 79 minutes later, a few minutes behind was Simon Triscott in 8.27.38. Sam Callear led the women’s race from the start and had opened up a 34 minute lead by Fan Y Big. Sam was the first woman home finishing 5th overall in 9.10.02 with MyRaceKit’s Elisabet Barnes finishing strong in second place reclaiming 8 minutes in the closing stages to finish in a time of 9:36:17 and 8th overall. Jenny Nicholson, racing in the pairs category, was third in 11:58:04. An impressive 89 people finished the Short Course and 83 the Long showing what a strong field toed the line this year. Interestingly of the 21 woman who started 5 finished inside the top 10. This is all the more incredible given that there were nearly 9 times more men taking part. 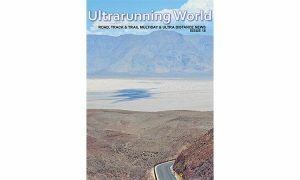 Imagine a future where there are as many women as men taking part in ultra distance fell races… it could end up that the blokes become the minority in the top 10! Entries open for next year’s events on 10th October. 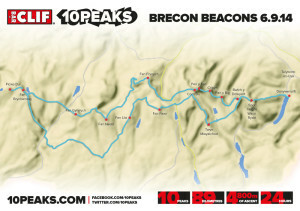 See www.10peaks.com for details.